Stay longer with the "Get away from all" offers! Discover our "discovery" stays from 79€! What's new at La Genèse? 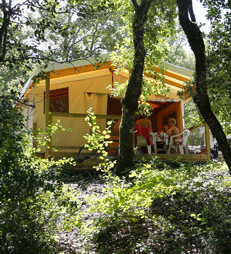 Naturit camping in France La Genèse, get back to nature with your family ! 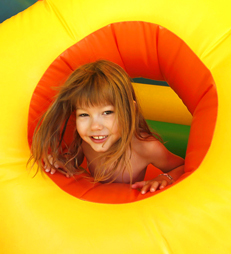 Enjoy your holiday with family or friends at this exceptional naturist camping! You’ll discover a wild terrain of unrivalled beauty and the peace of unspoilt nature far from the hustle and bustle of everyday life. Nestling in a valley in the heart of the Gorges de la Cèze, in the Cévennes, the remoteness of the location provides an ideal environment to be close to nature. There’s no better place where naturism may be enjoyed, whether you like to be active or prefer to relax and just do nothing at all. 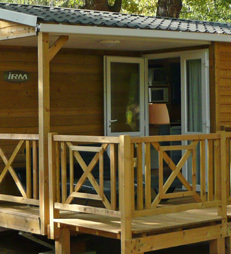 La Genèse is a french camping which has a range of activities for all the family, sporting, artistic and intellectual. The beautiful surrounding area will please those who love walking and the regional culture. At La Genèse time stands still. Cherish the moment, enjoy being together and leave your cares behind. La Genèse: get back to nature with your family!